PlayStation VR Bundles Discounted For Black Friday Target are offering deep discounts for PlayStation VR bundles for Black Friday. Futuristic VR Playground Coming To Toronto VRulez VR Arcade will be first in North America to use KatWalk treadmill system. During its Q3 2018 earnings call earlier this week the company announced that it expects a 40 – 50% increase in spending in 2019 compared to 2018, taking full-year capital expenditure to around $18 billion to $20 billion. CEO Mark Zuckerberg rounded off his opening notes by stating that the company was “heavily investing in AR and VR”, making specific mention of next year’s launch of the Oculus Quest all-in-one VR headset. When later asked if this spending would be in the same areas that the company has previously said it will be investing in, Wehner replied: “A lot of that is consistent with what we’ve been talking about as our big investment areas.” He specifically noted that investment in VR and AR was one such area as well as other factors like increased headcount and investment in safety and security technologies. Obviously Facebook isn’t going to be spending $20 billion on VR and AR next year but with news that the company’s immersive R&D division, Reality Lab, is getting a big new site at the Redmond campus, coupled with the work Michael Abrash showcased at OC5 this year, it’s clear that it’s not going to slow down its spending any time soon. The big question is if Oculus Quest, which launches in spring 2019 for $399, will mark the start of Facebook recouping some of those investments. The post Facebook Predicts 40 – 50% Increase In Spending In 2019 Due To VR/AR And More appeared first on UploadVR. More Patent Reveals With News of Google Eye-Tracking Patent Google patent will use eye-tracking to give VR avatars accurate facial expressions. XRDC is a very tiny event. It takes place near the end of the year in San Francisco (formerly it was called VRDC, but the industry is expanding and they wanted it all under one roof) and a few dozen industry executives, developers, luminaries, and press all gather together to network, try out a few demos, and attend talks. Mostly it’s for networking and talks though. The “show floor” had maybe six or seven booths total. As a result, the best part of XRDC for me this year was the Beat Saber talk hosted by Beat Games CEO and co-founder, Jaroslav Beck. He discussed the project’s origins, where the concept came from, how they’ve found so much success, and what’s next for the studio. Beck began his talk by explaining that Beat Saber owes a lot of its creation to a critically acclaimed and massively popular mobile phone game named Chameleon Run by Hyperbolic Magnetism. It’s a simple little game in which you control a small character that is constantly running at high speeds while you make him jump and change colors to match platforms. That’s about it. Now if you extrapolate on that idea of color switching and contact, it makes sense that the premise could lead to what we now know as Beat Saber. Albeit just a way cooler, more polished, and impressive version. Beck mentioned that the neon aesthetic inspiration comes from Tron, which should come as no surprise at all. In the image above, you can see the first initial prototype for Beat Saber (compared to the final version of the Early Access release pictured below). Beck said the initial prototype with all of the core designs and gameplay mechanics was completed in just a single week. “We worked for the next year and a half just on polishing the last 10% of the game, which made all the difference,” Beck said. Prior to working on Beat Saber, Beck mostly contributed his musical talents to AAA game studios for properties such as Overwatch, World of Warcraft, Star Wars, Call of Duty, Starcraft, and more. “We agreed I’d make a soundtrack of 10 songs to be included and customized for the game,” Beck said. And $100 Bills, one of the most popular tracks in the game today, was that first test. Beck and developer Jan Ilavsky collaborated back and forth between crafting new tracks and mapping the beats, iterating and polishing along the way. According to Beck, the team at Hyperbolic Magnetism and Beat Games did not spend a single dollar on marketing. Instead, they got lucky. By partnering up with LIV, a mixed reality capture and software studio, they crafted videos like the one you see above to not only sell people on Beat Saber, but to sell people on VR in general. And it worked. The post Escape With Me: How A Mobile Phone Game Led To The Creation Of Beat Saber appeared first on UploadVR. Some major questions remain unanswered by Facebook’s Oculus team regarding how open and accessible its Oculus Quest hardware will be to buyers. With some prompting this weekend, one of the gaming industry’s thought leaders commented with some strong language on the situation. Critically, it is unclear how easy it will be for the average Oculus Quest buyer in 2019 to become developers so they could load up software that runs on the headset without going through Facebook’s Oculus Store. That’s the way it is done today with the standalone Oculus Go headset. While it is important for developers to get full access to all the computation and graphics power in a standalone headset, certain services might kept active and beyond user or developer control for safety, security or privacy reasons. For example, we know Quest includes a visible external light that is wired directly to the power rail of the headset, and we expect its operation not to be changeable by apps or the end user. Likewise, Oculus uses what it calls a “Guardian” system which defines safe boundaries for play. Facebook uses the system on Rift today while Valve offers its own “Chaperone” system with adjustable settings on PC. Even Microsoft uses the concept of “Boundaries” on PC with its inside-out tracking system to define play areas that are clear from floor to ceiling. Google’s Daydream OS running on Lenovo’s standalone Mirage Solo automatically restricts head movement to a very small area, but that feature can be deactivated by developers for a dangerous testing session. Bleh, a closed platform attempt around VR. The issue here is the same path used by developers to test their apps on computers is also often used by enthusiastic early adopters to become the first to test those apps. On the standalone Oculus Go headset, for instance, you can install stuff from a connected PC, but that’s not nearly as easy as, say, installing Fortnite on an Android phone and bypassing the Google Play Store to do it. The argument could be made that security, safety, and privacy of whomever is using a VR headset demands a more restrictive console-like platform similar to an Xbox, Nintendo or PS4. It certainly seems like Oculus is heading toward a console approach for Quest, but the company still hasn’t clarified its plan for some of these things. Company representatives, however, made it clear earlier this year that they are aware of the issues at stake when it comes to how they run current and future platforms. 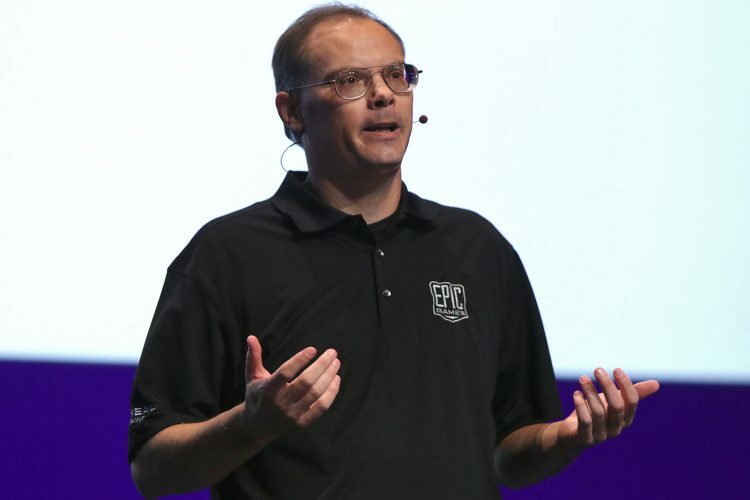 The post Epic CEO Tim Sweeney: Closed Oculus Platform Would Mean ‘Less Income For Developers’ appeared first on UploadVR. Nothing Half-Baked About Zombie Donuts Update Canadian developer Virtro have announced an update for candy apocalypse shooter Zombie Donuts. Disney Developing AR Costumes For Theme Park Visitors Disney Research are working on a way for theme park visitors to take the ultimate selfie. Maya, the paid tool from Autodesk, and Blender, a free and open source alternative, are two of the most popular 3D creation tools in the industry. Maya is the tool used to create the 3D assets for countless films, TV shows, and video games. Blender is used by hobbyist projects, but is also used by large organisations such as NASA. Because neither Maya nor Blender support virtual reality, Japanese startup MARUI-PlugIn developed plugins for each application to add VR support; which they call ‘MARUI’ and ‘BlenderXR’. MARUI is a paid plugin ($50/month or $550 lifetime) for Maya, whereas BlenderXR, just like Blender itself, is free and open source with optional donations supporting it. For many creators, being able to see and manipulate assets at real scale directly with your hands and to look around it by simply moving your head is a paradigm shift from current monitor-based workflows. The folks behind the MARUI-Plugin claim that VR can reduce the cost of 3D production by up to 50%. The plugins aren’t focused on the full range of features for Maya or Blender. Instead, the company is focusing on design and animation. Using your hands to directly manipulate parts of the model that should move can be far more intuitive than the current approach of trying to move and rotate elements in 3D space with a mouse & keyboard. At Oculus Connect 5, Oculus introduced a system for Rift called “Hybrid Apps”, which could be useful if the approach sees adoption by the likes of Blender or Maya in VR. That still hasn’t happened, so it looks like 3rd party plugins will be the go-to approach for now. For BlenderXR, the plug-in builders are embracing the community spirit of Blender by polling the community as to which features should come next. For MARUI, development will follow the priorities of its paying customers. Recently they added voice recognition and direct 3D sketching for Maya like Google’s Tilt Brush and Facebook’s Quill. It is not yet known how widely the Maya and Blender userbase will embrace VR. Perhaps headsets aren’t high resolution enough yet, or perhaps switching between tasks which are better on a monitor and tasks which are better in VR is not yet seamless. While MARUI and BlenderXR look like the first real steps toward bringing these tools into spatial computing, we expect to see many more efforts in the coming years. The post ‘MARUI’ Plugins Bring VR Support To Popular 3D Tools Maya and Blender appeared first on UploadVR. Axis Studios Release New VR Short Film The Bond Escape to the magical world of LuKara in new VR short film. Life In 360°: The Process Of Courting Fashion Koncept VR and GQ do some 360 degree filming with NBA star Joel Embiid. Yes, Halloween is out of the way and now the real terror is almost upon us; it’s time to start talking about Black Friday deals. Early as it may be, the first PSVR Black Friday deal has just been spotted. Target is set to slash $100 off of the price of the recently released Creed hardware bundle, taking it to $249.99. That’s a pretty significant saving; this bundle includes the headset, camera and two Move motion controllers before throwing in Survios’ excellent boxing game and one of the all-time great PSVR titles, Superhot VR, on top. But the saving doesn’t stop there. Target is also taking $100 off of two other PSVR bundles with also feature big games. First, there’s a bundle featuring last year’s Doom VFR for $200 (which we weren’t super keen on), but easily the better of the two is the Astro Bot pack, which features last month’s critically acclaimed VR platformer and another one of the best VR games of the year, Moss. That pack is also $200, but none of these bundles include Move controllers as they can all be played with the DualShock 4 that comes with your PS4. Black Friday takes place on November 23rd and you can be sure there’ll be a mountain of deals to announce in the weeks leading up to it. No doubt HTC and Oculus want in on the money, too. The post First PSVR Black Friday 2018 Deal Slashes $100 Off Big Bundles appeared first on UploadVR. Google Daydream’s best game is now available on Oculus Go and Gear VR. White Elk Studios’ Eclipse: Edge of Light just landed on the standalone and mobile-based VR headsets for $9.99. These are the first platforms the game has been ported to since its launch on Daydream in April of last year. Eclipse is an excellent first-person sci-fi adventure in which you crash land on a mysterious planet and set about exploring your surroundings using a jetpack and full locomotion. The world around you is wonderfully realized and the story is delivered in a thoughtful way, whilst the game makes great use of motion controls too. We put the game in our recent list of 100 VR titles you should really be playing, and that still stands. Eclipse had originally been billed for PSVR, so we’ve asked White Elk if it could finally come to Sony’s headset and others now that it appears any exclusivity agreement is up. It’d be great to see it launch on the shiny new Oculus Quest headset, too. Currently, the developer is working on another Oculus Go game, a local co-op multiplayer experience named Covert. That’s being published by Oculus Studios and is due to release this year. The post The Excellent Eclipse: Edge of Light Is Now On Oculus Go And Gear appeared first on UploadVR. More trickles of VR news for Media Molecule’s Dreams this week; the studio has confirmed that PSVR support won’t be included in the upcoming beta for the game, at least at first. The developer did reaffirm that the beta is arriving this year and is aware of the fact that that’s not a very big window. From the sounds of it, PSVR support could be added in later down the line, but we do know it’ll at least be in the full release from day one. There also won’t be online multiplayer support in the beta but couch-based co-op will be in. Finally, it was also confirmed that a PSVR developer is already working on content for Dreams, but we don’t yet know who that is. 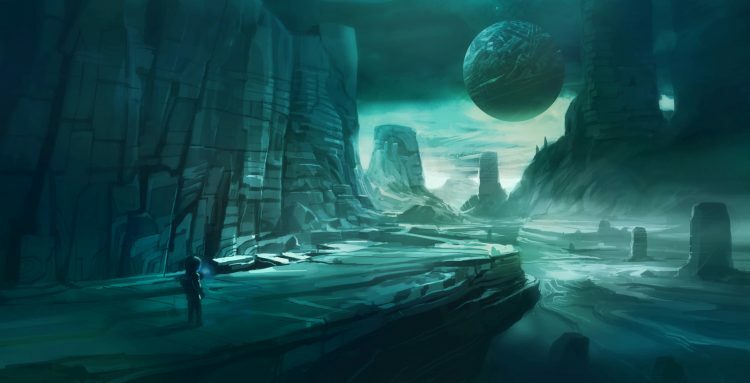 We probably won’t be playing Dreams in VR this year, then, but fingers crossed we’ll be able to dive in in early 2019. The post Dreams Beta Will Not Support PSVR ‘Initially’, Other VR Devs Already Making Content appeared first on UploadVR.